Today welcomes a brand new challenge over at Creative Knockouts and this week we are showcasing all projects featuring buttons! Now I have a huge stash of buttons that I simply do not use and to be honest I actually completed my card today and then went back and added the buttons because I forgot all about them. Anyway, our sponsor is the wonderful "A Day for Daisy" who is graciously giving away a $12 voucher to their store so this is definitely a challenge that you want to play along with. 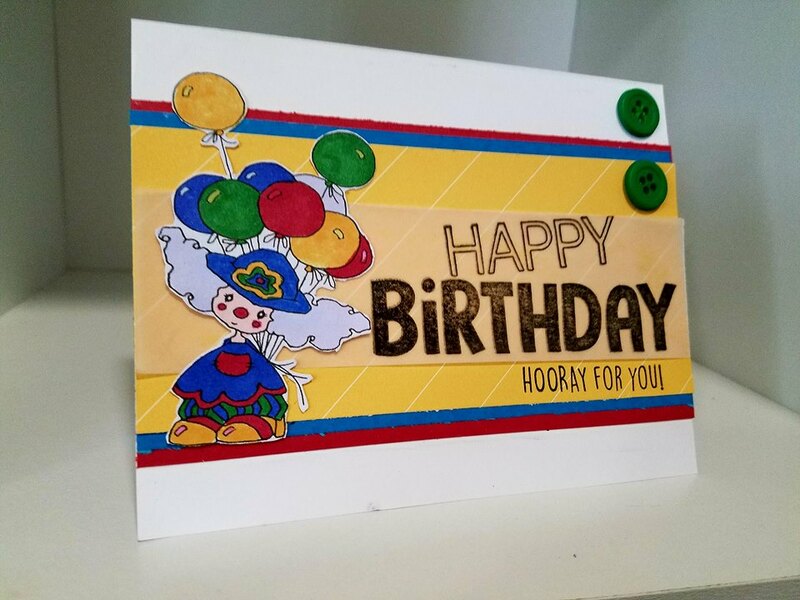 My card today features the "Miss Claire Clown" which I thought would be perfect for building my birthday stash back up with. 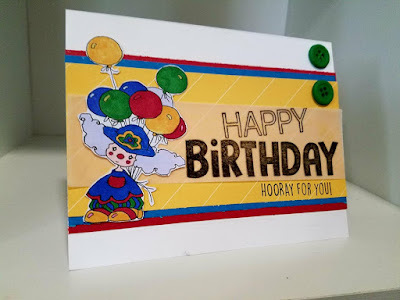 Since I mainly go to kid's birthday parties I decided to keep the card to primary colors like yellow and blue. 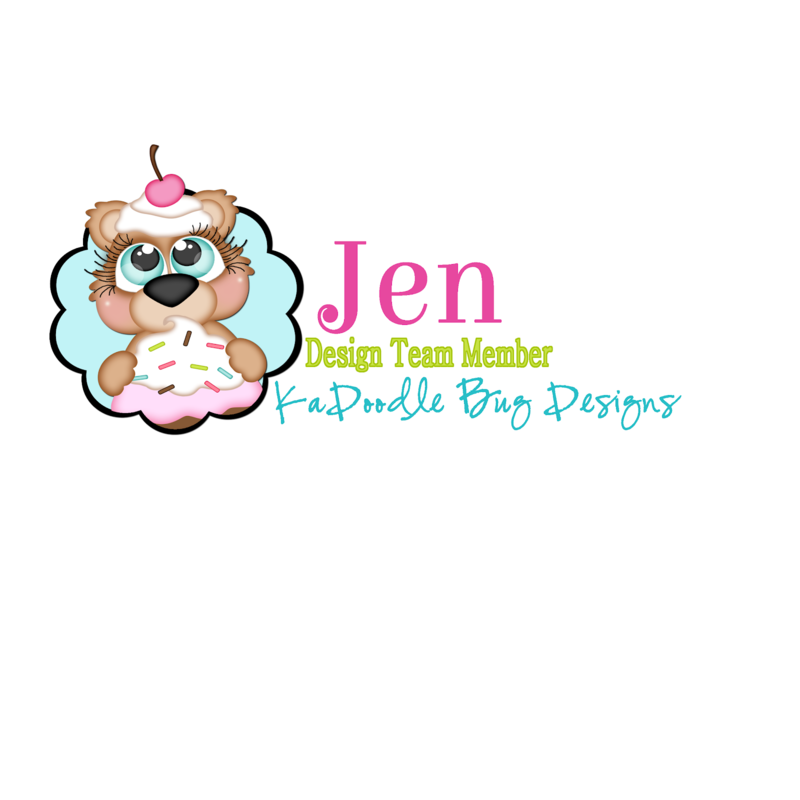 As with most of my digital stamps I sized out the design and image using Design Space then after I had the image ready to go I decided to color it using my alcohol markers. For the sentiment I decided to take a piece of vellum and to heat emboss a birthday greeting. Both greetings come from a retired CTMH stamp set of the month. I heat embossed the larger one using clear embossing powder and my black ink and then for the smaller one I simply stamped straight onto the paper. Then finished off the card by adding two buttons. If you are interested in playing along with us this week you can come on over to Creative Knockouts and enter your card. Thanks for stopping by today and as always Happy Crafting!